You are going to love these Washi Tape Christmas Cards! When I was asked to host a Scotch Expressions House Party, I was thrilled. 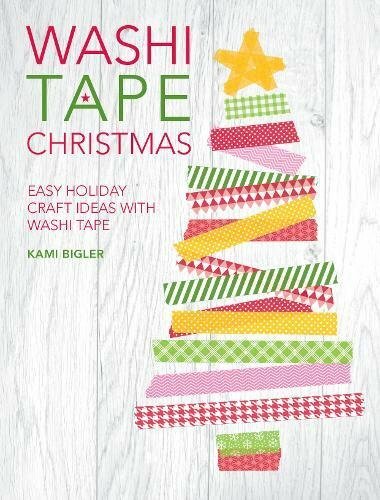 What could be more fun than having a crafting party where we get to make Washi tape Christmas cards, wrap presents and visit with friends? You may remember that I had fun creating a Christmas picture frame using Washi tape. Making Washi tape Christmas cards was even more fun than that! I received a box full of crafting supplies as a House Party host and these are just a few of the pretty Washi tape Christmas cards that we made during our party. This post contains affiliate links and I will be compensated if you make a purchase after clicking on my links. So what is Washi tape? Washi tape is a special kind of tape that originated in Japan. It is typically made of paper and is lighter than your traditional tape. It comes in fun colors and designs which makes it ideal for crafting. Washi tape is often made from natural fibers as well. Scotch now offers gorgeous Scotch Expressions Magic Tape and Scotch Expressions Washi Tape. 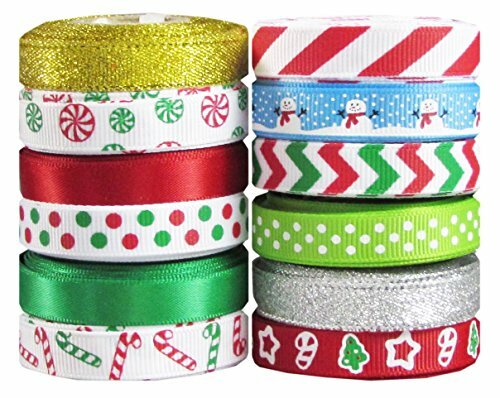 They come in all sorts of fun colors and patterns including some that are just perfect for Washi Tape Christmas cards. There are a lot of different types of designs you can make using Scotch Expressions Magic Tape and Scotch Expressions Washi Tape. The designs I made were fairly basic because I wasn’t sure how familiar my guests were with using tape to create Washi Tape Christmas cards. You can get a lot fancier than I did by adding jewels and beads to decorate the Christmas tree or creating fancy bows to top the Christmas presents. Scotch offers a lot of great crafting supplies in addition to the Scotch Expressions Magic Tape and Scotch Expressions Washi Tape. The scissors they sent worked perfectly to the cut the Scotch Expressions Magic Tape, Scotch Expressions Washi Tape and the Scotch Postal Wrapping Paper. I was even sent white gift bags to decorate for the party. If you have an oddly shaped gift or a variety of little gifts. Pick up a plain gift bag and decorate the front of the bag with a Christmas motif using Scotch Expressions Magic Tape and Scotch Expressions Washi Tape. I love the one you made with the candles - I gotta bust out my Washi Tape now! I found a huge sale on washi tape a couple of weeks ago and bought a ton of it. We were just making our own washi tape holiday cards yesterday. I love this! What a fun craft idea!! Really love them! That shoe tape dispenser is pretty awesome, too. Looks like fun, my daughter would love to do this. Ooh this looks like so much fun! Creative! Ok, this would be totally fun! I love washi tape and would love to do a crafting party with it! Very cute idea for Christmas cards! And affordable too! This looks like so much fun. I have a small roll of washi tape that I have not known what to do with it. I am going to try and make some cards today. those look really cute! I havent made my own Christmas cards in a while but it looks easy! Love, love washi tape! And these cards are so well done. I also like how you added a bit to the gift bag. Visiting via "InspireMeMonday' linkup from over at www.ritewhileucan.com where I love all things stationery and blog about the lost art of letter writing. I have a feeling you might enjoy. Looks like you had a fabulous party! I'm in love with Washi Tape, obsessed a little, stop pulling out the truth! I was considering make the tree cards for the holidays, but those Candle Cards are adorable too!!! !